Atuna.com is the world’s leading website on Tuna Industry News, daily keeping tuna professionals up-to-date on the dynamics of the global tuna business and the latest trends in business, research, sustainability issues, market developments, political and trade issues, product innovations and much more interesting data. What sets atuna.com apart from other seafood news websites? Atuna.com is entirely specialized in one seafood species: TUNA. Information about other seafood types will not be found in our website. Atuna.com exclusively publishes need-to-know information for the global tuna business. We understand your time is valuable, thus we strive to keep our news relevant and concise every day. 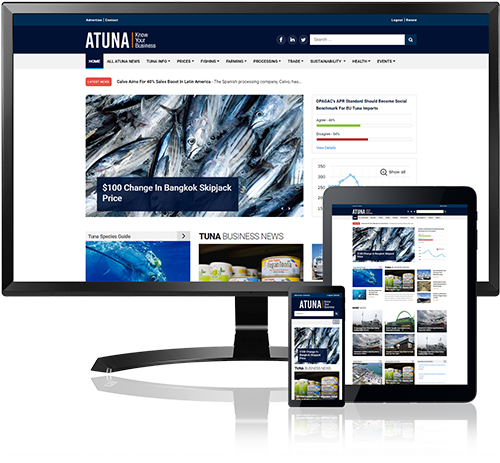 Atuna.com news content is globally gathered, analysed, enriched and reported by our tuna trading specialist editorial team. Atuna.com fully comprehends the tuna business global scale, that’s why we count with a diversified language skilled team that keeps track on the most important tuna-related news in South America, North America, Europe, Asia, Africa and Australia. Atuna.com was founded by Henk Brus in 1998 shortly after creating his tuna trading company Atuna located in the Netherlands. It initially started as a blog where Mr. Brus would post his daily market insights on the tuna business for his worldwide clients and suppliers. His aim was to keep them informed and up-to-date with the latest developments on the tuna industry. 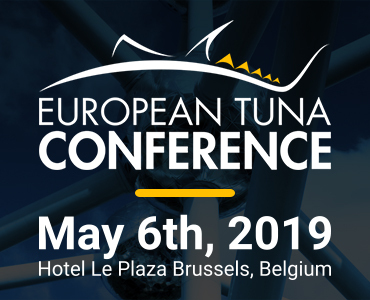 In 2007 Atuna organized the first European Tuna Conference (ETC), the conference has been held bi-annually in Brussels, Belgium ever since then. The ETC brings together leading raw material suppliers, fishing companies, processors, tuna brands, distributors and traders, as well as retailers and bankers to debate and discuss the challenges and opportunities within the tuna industry (Click here to find out more). Atuna is also co-organizer of the bi-annual World Tuna Conference in Bangkok, Thailand, organizer of the African Tuna Conference in Cote D’ivoire and organizer of the Americas Tuna Conference in Panama. In 2011, Atuna entirely stopped its tuna trading activities to officially dedicate all efforts onto providing the tuna industry with the latest happenings in the tuna business and further developing its position as the world’s leading website on Tuna Industry News. Atuna.com provided the global tuna community with online tuna business insider news free of charge for more than a decade. In order to continue meeting the demands for high quality tuna business news, the website has been recently upgraded and a variety of interesting sections have been added to allow our professional readers to enjoy full insight of the global tuna business from all perspectives. In March 2014, Atuna.com became a paid membership website. Atuna.com continues providing tuna professionals with real, factual and vital tuna industry knowledge: daily global tuna news, historical and current tuna price trends, latest fishing, processing and trade statistics, state of the stocks, interesting interviews, market analysis tools and much more. The ATUNA magazine was added to the Atuna portfolio in 2015. It is a printed edition, offering more extensive in depth analysis and business stories. The ATUNA Magazine is part of the atuna.com membership benefits. The opinions expressed in this publication do not necessarily reflect the views of Atuna Media, its staff, members or advertisers. Any mention of companies does not imply endorsement and Atuna Media expressly excludes liability for any inaccuracies or errors to the fullest extent permitted by law. Atuna Media holds exclusive rights to all the material published from here on in. Republication, redistribution, re-editing or other use of this material in any form is strictly prohibited. The atuna.com readers come from many different fields of the tuna spectrum including: management of the leading tuna brands , buyers of many large supermarket chains, export managers of tuna processing plants, scientists researching tuna, environmental organizations and activists, directors of regional tuna management organizations, government fisheries agencies, politicians and policy makers of many tuna fishing and producing countries, bankers, investors, analysts, tuna fleet owners, consultants, eco-label organizations, and many more.